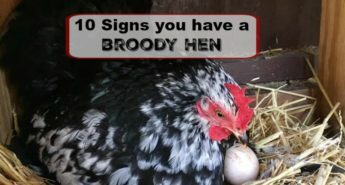 The list of homesteading skills that could be listed here are numerous. 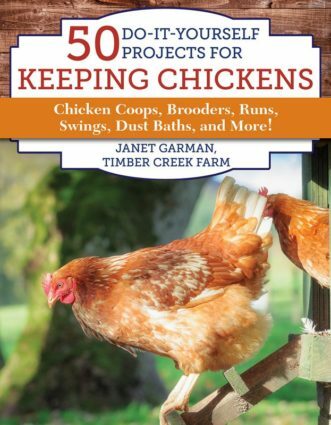 When you are beginning a homestead, a large list can be overwhelming. I know when I feel overwhelmed I am not very productive. 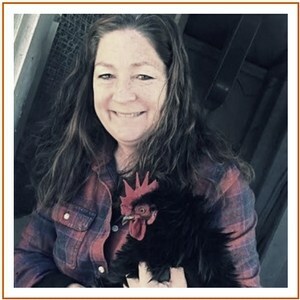 My goal is to help you get started with homesteading without the overwhelm. Taking big plans and goals and breaking them into smaller chunks is a good way to change your lifestyle. If you haven’t had much experience being self sufficient in the past, don’t feel you have to over look having a homestead and providing good clean food and self sufficiency to your family dynamic. I took a look at various lists of skills that are good to learn. While I don’t have any argument with the items on most lists, you don’t have to learn it all at once. I chose six categories that I think will help you start strong. Focus on these six or any handful from a list, that will help you feel in control. This is the skill you would expect to see on the list, and for good reason. Every bit of food you grow or raise yourself is one less bit you would have bought from the grocery store. I am not against grocery stores! I am for being self sufficient. It is nice to know how to grow food because it tastes great, is as fresh as you can get, and you know exactly what was used to grow it. Since most of us have other jobs in addition to our homesteading efforts, grocery stores are very convenient to have around. And should some type of emergency happen, financially or otherwise, you will know how to grow your own food. Home grown food can be used to barter, trade or help someone in need. My advice is something I try to follow. Start with a manageable size garden. If you work off the homestead, your garden efforts will be largely concentrated on the weekends. Trying to plant, weed, water, and tend to a large plot of ground every weekend will be exhausting, unless it is your favorite thing to do. Grow a smaller amount at first. 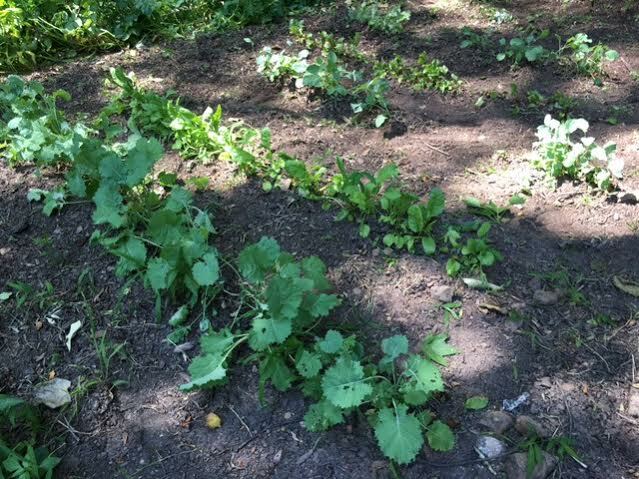 In some zones, a fall garden will offer a way to get more produce. Succession planting is another method to increase yield from a smaller garden. Know your garden zone and purchase plants and seeds that do well in your climate. When you have a plant that is doing well for you and is from heirloom seeds, learn to save seeds from those plants. These seeds from top performing plants can be used the next season in your garden. As important as growing food, knowing how to cook healthy food is one of the important homesteading skills. Don’t worry if you have been relying on take out food and restaurants for your meals. Cooking is nothing more than following a plan. The internet has many cooking websites that you can access. Purchase one comprehensive cookbook that uses real food ingredients and read through the recipes. Its not as hard as it looks! When you grocery shop, purchase whole ingredients such as meat, cheese, fresh vegetables, whole grain and natural bread products. Better yet, try an easy no – knead bread recipe and bake your own bread. Learn to use cast iron cookware. Cast iron makes the food taste even better, and this cookware will last forever! In an emergency, cast iron can be used over an open cooking flame, or on a wood burning stove. Learn to chop firewood safely. A chainsaw will make the job easy if you know how to safely operate one. Or learn to use an axe. Either way, if you need an alternate form of heat, wood fire is your answer. It may even become your only source of heat. Maintain your fireplace or wood burning stove so it operates safely and efficiently. Get your stores of firewood in place during the summer so you have seasoned wood ready when the weather turns cold. Any wood will burn, but wood that has been stacked correctly and seasoned or weathered, is drier and will catch fire quicker. Green wood can be a challenge to many people trying to start a fire for warmth. Yes, I realize that these are two entirely different topics but for this purpose my intention is to highlight wild food. Learn what is edible and how to find it, prepare it, and cook it. 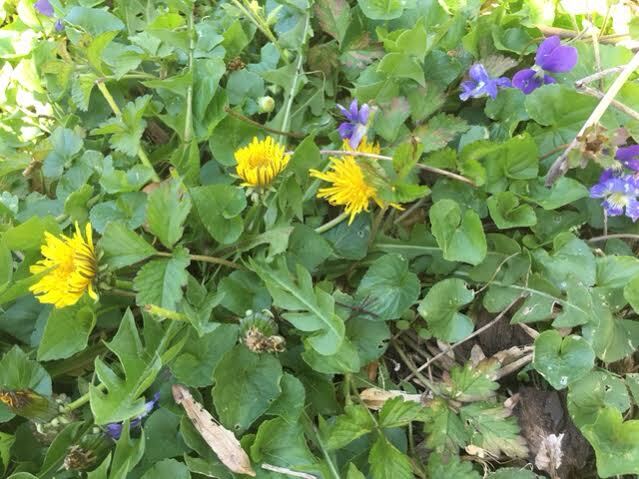 If hunting isn’t for you, there are plenty of wild plants in rural areas that can supplement your food supply. Wild berries picked during the season, can be preserved by canning, freezing or dehydrating. Greens and herbs are often plentiful. Have a reliable field guide that can help you identify plants and berries. My rule of thumb is if I can’t clearly identify something, I leave it behind. 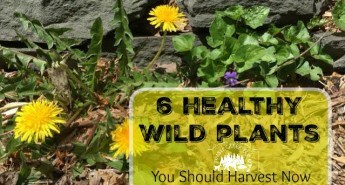 Some wild foods can make you sick, if consumed. If you choose to hunt for game animals, learn the proper seasons for each species. Check the laws for your area about licensing requirements. Keep your weapon clean and prepared and store it in a safe manner. Using natural plants such as herbs to create health promoting mixtures is a natural step from cooking with whole foods. Herbs are very easy to grow indoors and out. Homegrown herbs can be added to your home cooked meals as seasoning and flavor. Infusing oils from the herbs is an easy step that takes very little time. 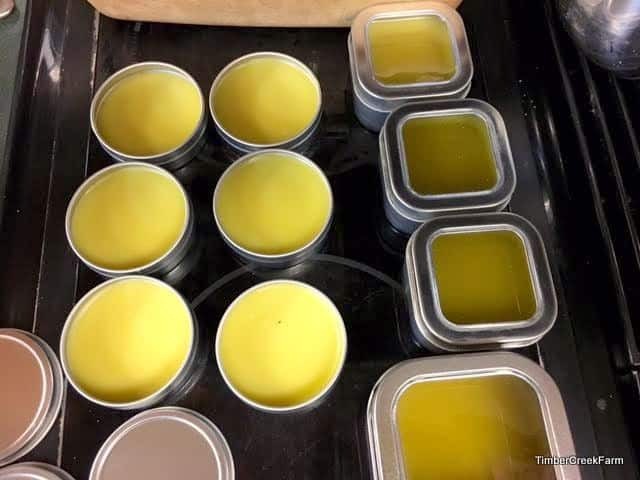 From the infused oils, beeswax, coconut oil, and olive oil, it is easy to create homemade salves, lotions and soaps. 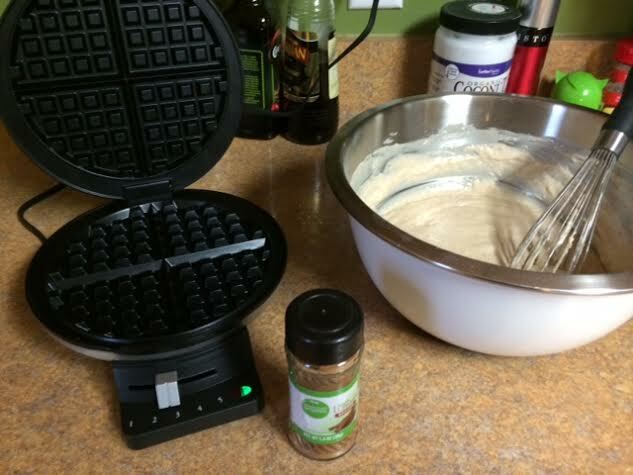 When you use these products you made, you know that they include only fresh ingredients and no harmful chemicals. Honey is one of the best healing products. Even if you don’t have your own bees, you can get raw honey from other farmers, or suppliers. Try using honey in mixtures or straight from the jar. Colds, coughs, skin rashes, burns, and more ailments can be healed with the help of raw honey. 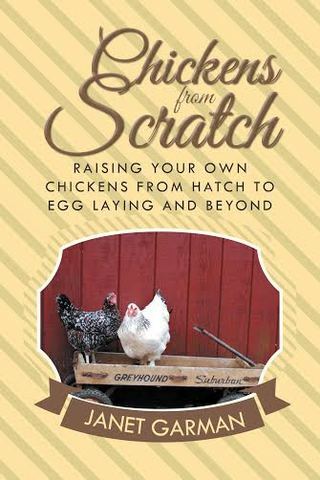 It is definitely one of the best things to learn more about and a valuable addition to your homesteading skills. When you know how to sew by hand, you can repair clothing, towels, bedding and more. Instead of buying new, you will be able to repair your favorite barn shirt. Making something useful will become easy for you with just a little practice. 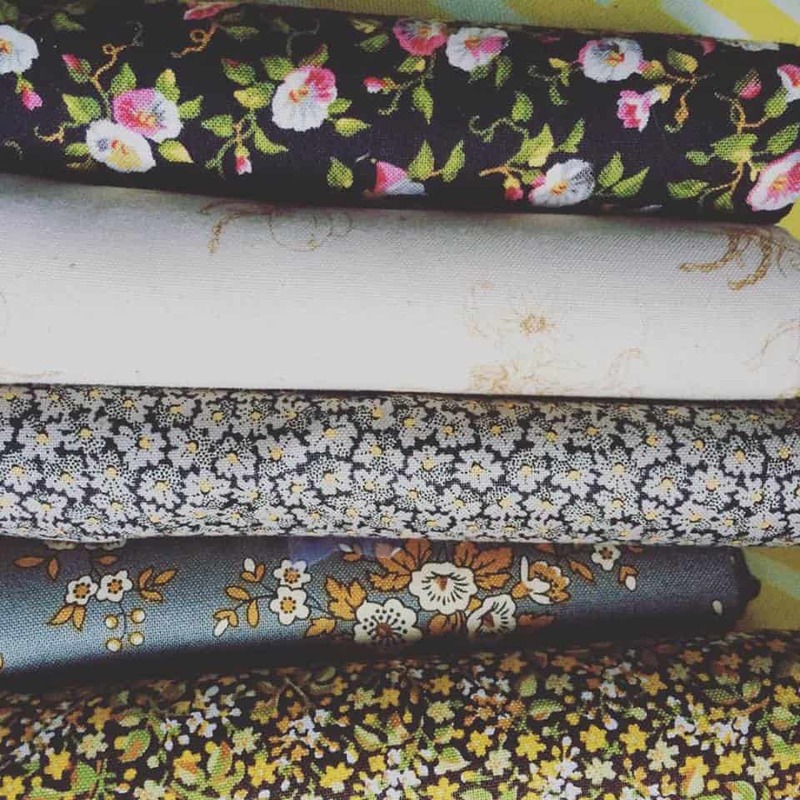 Quilting uses sewing skills to take bits of fabric from different sources and combine them into a usable new item. Quilts are also a thing of beauty for your home. 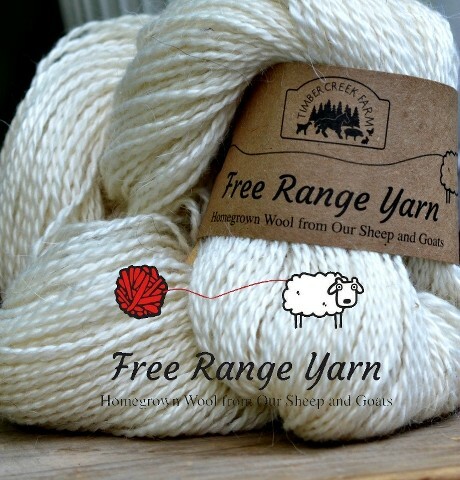 Sewing skills can be used to repair livestock coats, like those used on horses and sheep. Being able to repair costly items can save you considerable money. What Homesteading Skills Would You Put on the List? 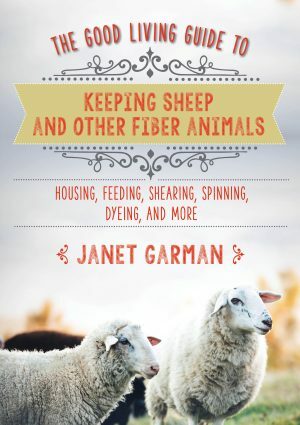 There are a multitude of homesteading skills you can learn along the journey. The time to start is now. While you learn, be kind to yourself. We all started somewhere along the path. Much time is spent learning and forging ahead. 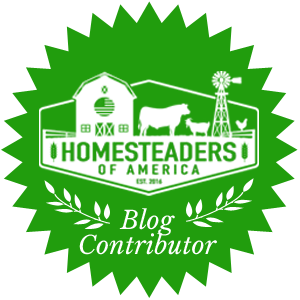 Along the way, I hope you find confidence and the desire to share your list of top homesteading skills to know, with others starting out. I look forward to hearing the homesteading skills you place at the top of the list, in the comments. Interesting. There was a time when these skills would have been taught to you as a child and an essential to any home – not only a homestead. You are absolutely right. So I believe it is our duty to teach those who don’t know how. Thanks for commenting! Basic carpentry should really be here. Maybe even basic electricity/electronics too. Two areas where a little knowledge can save you tremendous amounts of money. Preserving the harvest is important and first aid. Next I’d say raising livestock. 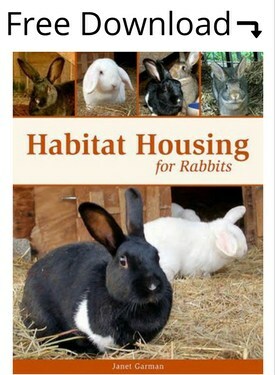 Start small, chickens, rabbits. Goats are great too because they provide milk and meat and their milk makes good cheese, yogurt, and soap. 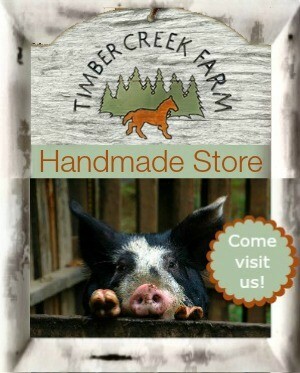 Food preservation and raising livestock is necessary for homesteading. Both of these are essential for getting us safely through the winter months. 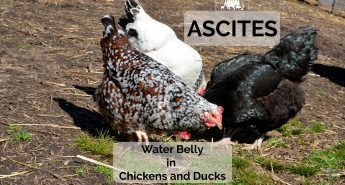 Animals are a huge part of homesteading so the skill of taking care of these animals requires the right kind of nutrition for the optimal health of the animal. Animals get sick, cuts & scrapes, infections and need help giving birth. 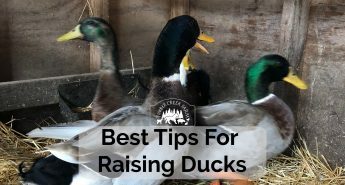 A basic knowledge of how to care for animals in each of these situations is beneficial for both the animal and finances of the homestead. Great starter list. We’ve only been at it a few years (my husband was raised gardening and chickens, I wasn’t). I’ve still got to tackle sewing. Wish I had learned as a kid. I was able to retake an early retirement so I’m still young enough to learn I guess! You listed healing, but then just a lot of kind of froo froo stuff about feel better medicine. If you are truly self sufficient and also if you live far from proper medical care, learning actual first aid is much more useful as a homesteader than what’ll make your cold or burn feel better. Raw honey won’t set a broken leg. Cherie-lee Froo Froo? Perhaps this blog post just isn’t your cup of tea. There is a very real difference also, between self-sufficiency and living an off grid back woods, completely isolated life. Perhaps you misunderstood the intent of the blog post. Self sufficiency is empowering and teaching others to do for themselves on many levels doesn’t equate with being able to handle everything that comes along. I doubt anyone would make the mistake of thinking that a glob of honey would heal a fractured bone. However, knowing that comfrey salve can aid in bone healing may enable someone to help the bone damage heal. Along with proper setting and treatment, of course. Instead of leaving somewhat insulting comments in the future, perhaps you could continue to look for blog posts that you agree with. There are a multitude to choose from. Have a good day. 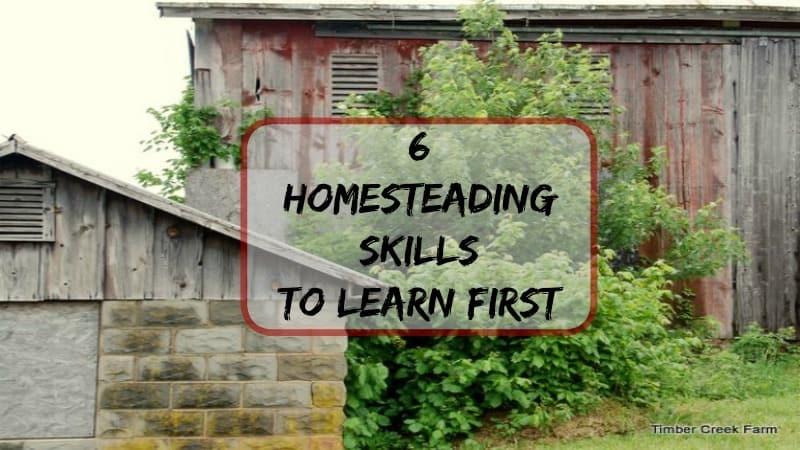 Exactly there are numerous homesteading skills that a person can learn. The list is never ending. The skills that you have entered here are of priority and must be learned at very early stage of homesteading. Well written piece. The only thing that I might add to a beginners list of skills might be in privy building if you don’t have one. Or the techniques of composting toilets. I appreciate this article & thanks for writing it. 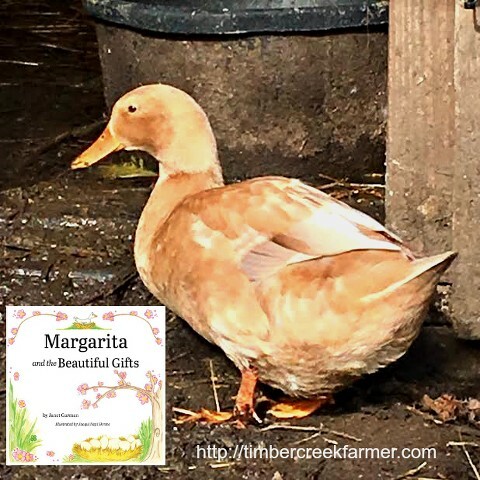 Homesteading is a lot of work, love this home-growing movement where you have so much love and sympathy for animals and nature. Compilation of best creative ideas, thanks for sharing. Just loved your site! I refer to your site all the time. 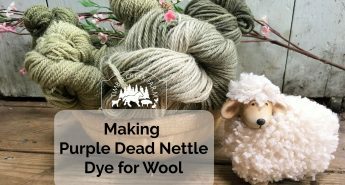 These posts made me feel so much better about the homestead, the ideas mentioned above are of priority and need to be focused and learned at early homesteading.